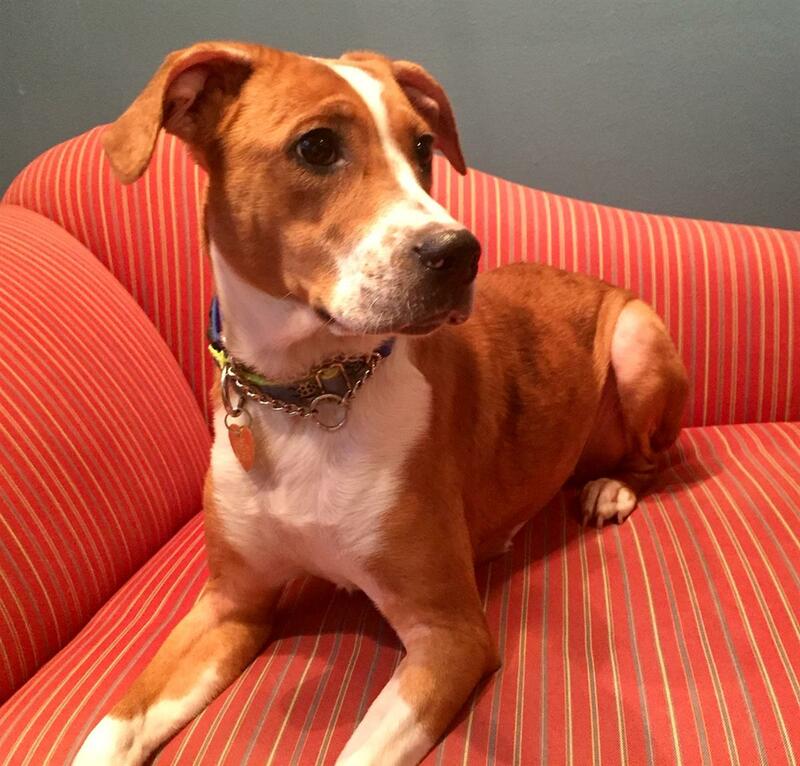 Okie is an utter joy in her foster home, where she gets along magnificently with other dogs. Initially shy, Okie warms up quickly to gentle reassuring people and then turns into a cuddle bunny with soulful eyes that plead for love. Okie is always eager go on walks and has good leash manners. She also loves to play fetch and will gleefully chase any ball that is thrown, bring it back and (eventually) drop it. Okie is eager to please, has shown no destructive tendencies in her foster home, is crate trained, and is close to being fully house broken. She bonds quickly and will become your shadow, following you from room to room. 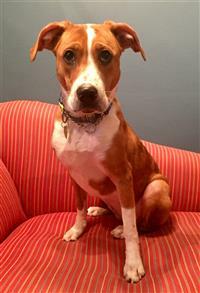 Okie is easily startled and would love a quiet home where she gets plenty of exercise and regular potty breaks, and where someone is home most of the time. 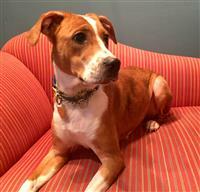 She is not a fan of commotion and is probably not well-suited for noisy families with very young children.